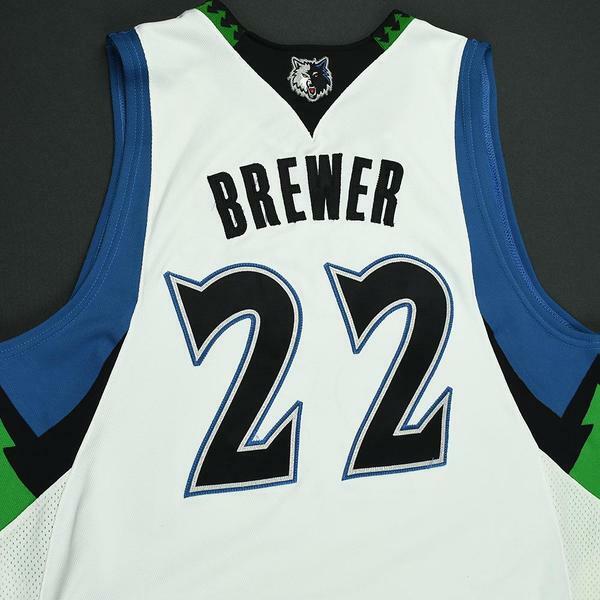 Corey Brewer wore this white jersey while playing for the Minnesota Timberwolves during the 2009-10 National Basketball Association season. it is photo-matched to nine games from October 9, 2009 to February 10, 2010. 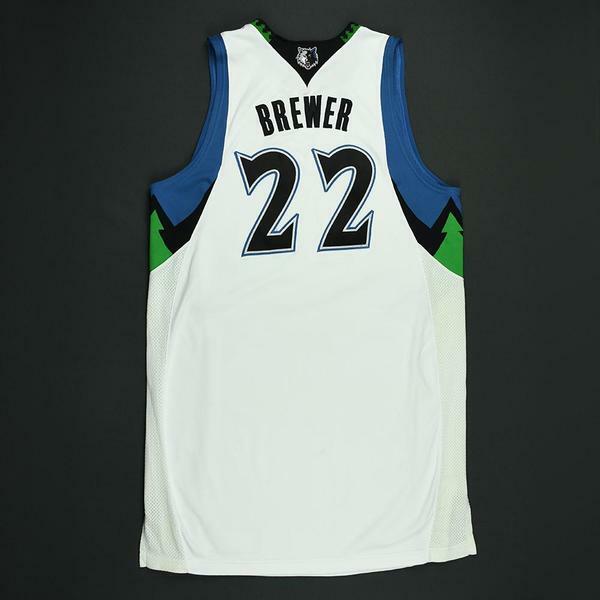 Brewer has been one of the league's better sixth men from 2008 to the present, averaging 8.9 points in 23.3 minutes per game over his NBA career. 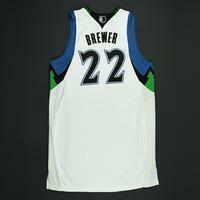 He averaged a career-high 13.0 points per game in 82 games during 2009-10. 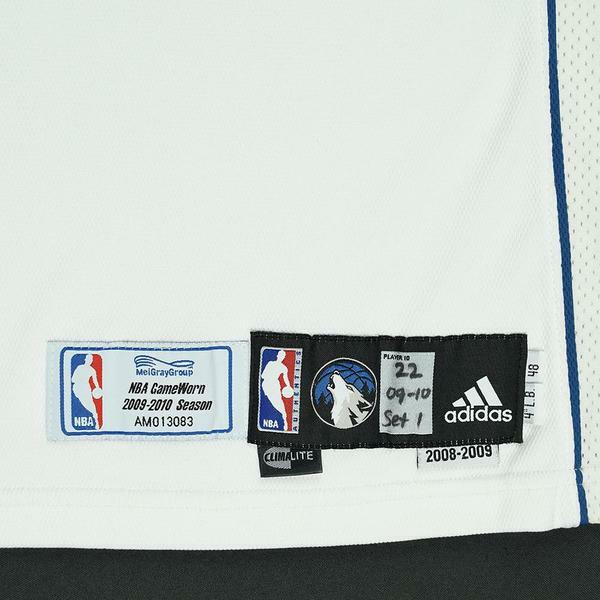 He won his only NBA title with the Dallas Mavericks in 2010. 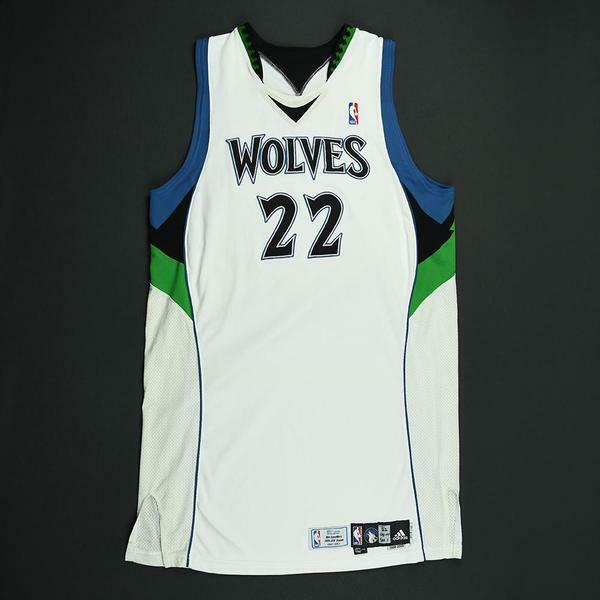 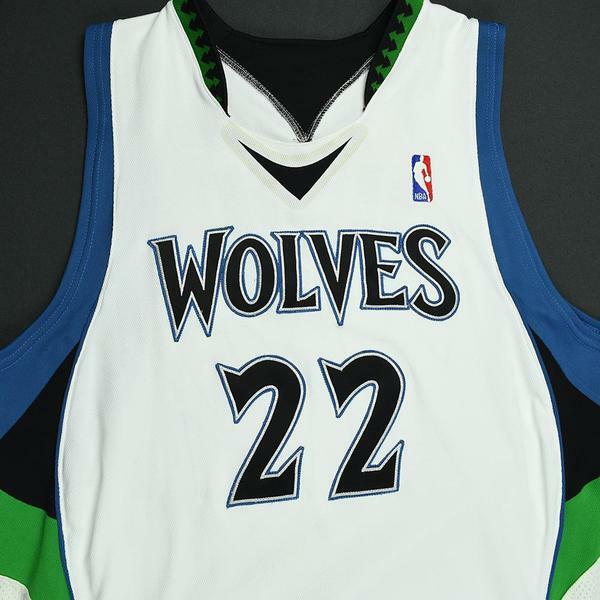 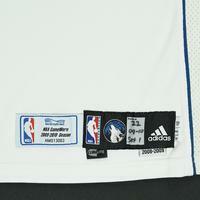 This jersey includes a Timberwolves Letter of Authenticity and has a 2008-09 date tag.